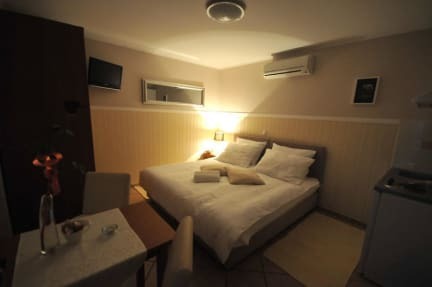 Buble studio apartments and a comfortable double room are modern, fully equipped, situated in a prime location in a quiet part of the western entrance to the town of Trogir, about 300 meters from the city center. Parking space is available in front of the house, guarded and free of charge. Our accommodation capacities are surrounded by beautiful Mediterranean vegetation and each has a terrace/balcony, equipped with modern garden furniture, protected by an awning. 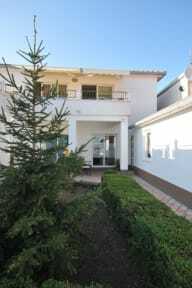 Family-run apartments and a comfortable double room are located on the ground and the first floor of a family house, oriented to the West. Two studio apartments and a comfortable double room are categorized with *** stars. Apartments have a fully equipped kitchenette, double room is equipped with mini fridge. Each apartment is designed for two people.